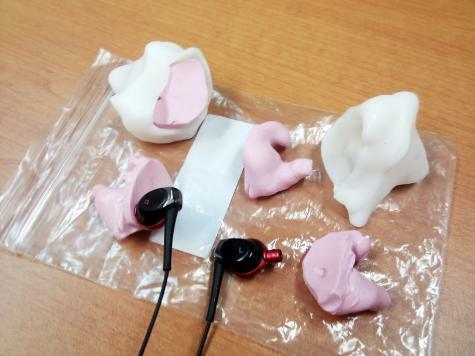 This project was sent in by OutbreakMonkey, he has been using Plastimake as a casting 'negative' for moulded silicon earbuds. We've seen Plastimake earbuds before, but this project utilises a 2 part silicone specifically designed for use in earplugs. This gives the final product a more comfortable and snug fit. He reports that the Silicone compound doesn't stick to Plastimake, good to know. Here's a project of mine - Custom ear plugs with adapter for 25-30dB noise reduction, with earphones built in. 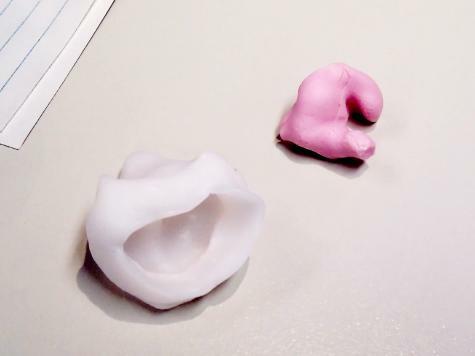 Take a "positive" ear impression with "Ear Mold" - 2 Part silicon impression material. Mould Plastimake into a "negative" (because we had to make several prototypes). 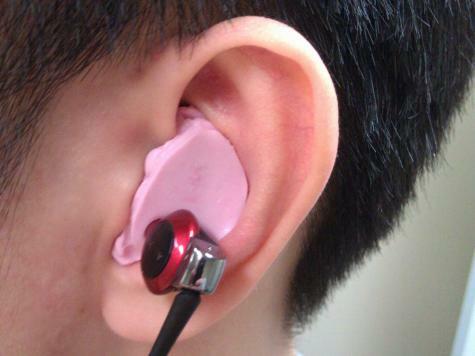 Mould a "channel" for where the ear phone will "plug in". Fit a 25dB attenuator in the canal. Result: 100% custom fit ear plug, with a channel for dropping in a 25dB filter AND a perfect seal around your headphones.. On a plane, you can have a baby crying in the seat next to you, and you just won't care (also you can hear your movie or tunes really clearly)!! It's an awesome idea and a great use of materials, thanks for sending it in!